Following on from Paeony's post about why she teaches writing (just scroll down - it's well worth a read) I wanted to add why I teach. I was a teacher before I was a writer; I became a writer because of my teaching. I was always writing hand-outs for the craft sessions I taught. Then one day I had a light bulb moment and realised I could make a little on-the-side if I used this skill to write for magazines. Once I had a few magazines features and craft books under my belt I branched out into writing picture books. A number of years later I had another light bulb moment, yes they are few and far between. Having had 21 books published I realised I was now able to teach writing. I soon discovered that teaching was forcing me to read about my chosen craft and discover new techniques. A good example of this was when I was updating the notes for a distance learning course I start to teach next month (How To Write A Picture Book And Get Published). I was researching story construction and 'discovered' a way of constructing stories known as a 'cumulative' story or a 'chain story.' This is where the character repeats the same actions and or words but with each repeat a little extra information is added. 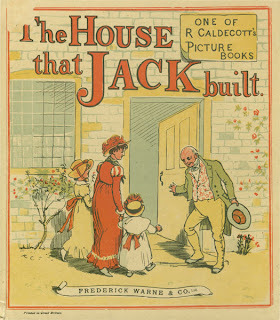 Two well-known examples of this story type are The House That Jack Built and There was an Old Woman Who Swallowed a Fly. Although I know both stories I didn't realise the format had an actual name. I am now experimenting with this format and enjoying the process. So if I hadn't been teaching I might never had found then experimented with this story form. I now look forward to my next discovery and being able to share that as well with my students. Thanks, Lynnne. It's interesting that these forms go back for centuries, isn't it - kind of like song formats. 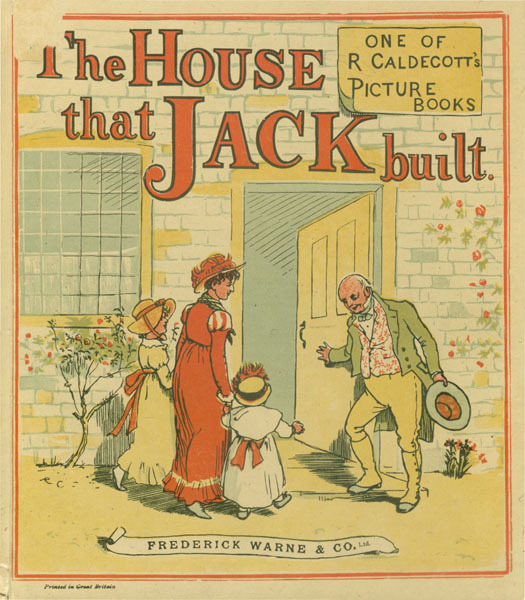 Nursery rhymes have a great deal to teach all picture book authors and poets, perhaps. P.S: Was thinking that 'We're Going on a Bear Hunt' is a good example of a chain story. Reads fantastically, whereas occasionally chain stories can get really dull to read about halfway through. I just love 'We're Going on Bear Hunt' and often use it in the classes I teach. I arrived at writing through a similar route. Teaching is certainly thebest way of learning a topic in depth. It's interesting hearing how people got into writing picture books. For me, it was a combination of reading to my children and writing advertising/publicity in my job (i.e. writing short and getting to the heart of what matters). And I agree, your courses look great, Lynne. I find it fascinating where stories come from. Thankfully I've never had any ideas due to extreme lack of sleep. Mine tend to come from a piece of conversation which then plants itself in the brain cell and sort of grows.